Life and planet earth has always been deeply connected, a fact only amplified by human expansion around the globe and echoed in all facets of the digital world we've created. The Edinburgh International Science Festival aims to explore the intersection of science, humanity, technology and the creative industries with its 2017 theme, Get Connected. Promising it's 'most spectacular' festival, EISF runs 1–16 April and boasts 250 speakers and 270 events across 29 venues – making it Europe's biggest science festival. 'Conflict, cultural divisions, demographic shifts and environmental degradation are not new,' explains creative director Amanda Tyndall, 'but what is new is the degree to which we are all connected – both in real time and virtually in a wired world – to these issues and to each other. Highlights from the programme include new exhibitions Play On at the National Museum of Scotland, showcasing digital innovation and technology and including specifically commissioned virtual reality experiences; and Moments in Time on The Mound, a free, family-friendly interactive exhibition, which connects to Scotland's Year of History, Heritage and Archaeology with the help of four police boxes with different themes (Enlightenment, Revolution, Information and 101 Scottish Inventions). Some of the talk and guest highlights feature Dr Aleks Krotoski, Dame Anne Glover, Prof Mark Maslin, Dr Adam Rutherford and Steve James on topics ranges from the modern, connected world to food science, space and the environment. Edinburgh International Science Festival, various venues, 1–16 April. 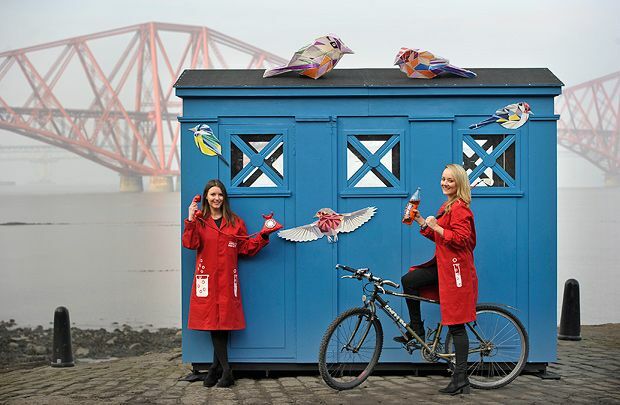 Enter a series of iconic Scottish police boxes and be transported back in time to pivotal moments in Scotland’s scientific history.